Tastefully decorated, our large Queen Rooms offer a modern ensuite bathroom, split-system climate controlled air conditioning, large flat screen TV, with Free Foxtel, Free WiFi Internet, Tea/Coffee making facilities, Mini bar, and also feature a sofa lounge, tables and chairs and plenty of counter space. 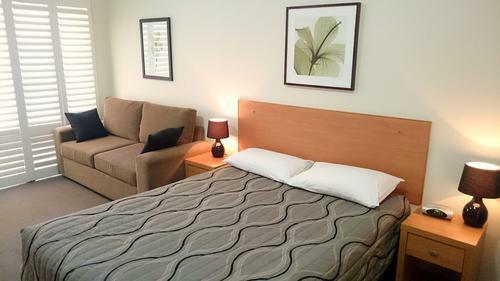 A generous sized room with a Queen Bed and Double Sofa Lounge, Free Foxtel & WiFi Internet, split system A/C, LCD TV, mini bar fridge, tea/coffee facilities and separate tables and chairs. Ideal for the corporate executive, or weary traveller alike. Tastefully decorated, our large Queen Rooms with Kitchenette come equipped with a basic kitchenette including microwave and offer a modern ensuite bathroom, split-system climate controlled air conditioning, large flat screen TV, with Free Foxtel, Free WiFi Internet, Tea/Coffee making facilities and Mini bar. Rooms also feature a sofa lounge, tables and chairs and plenty of counter space. Our Disability access rooms feature a fully accessible bathroom, parking space and ramp access to the door. 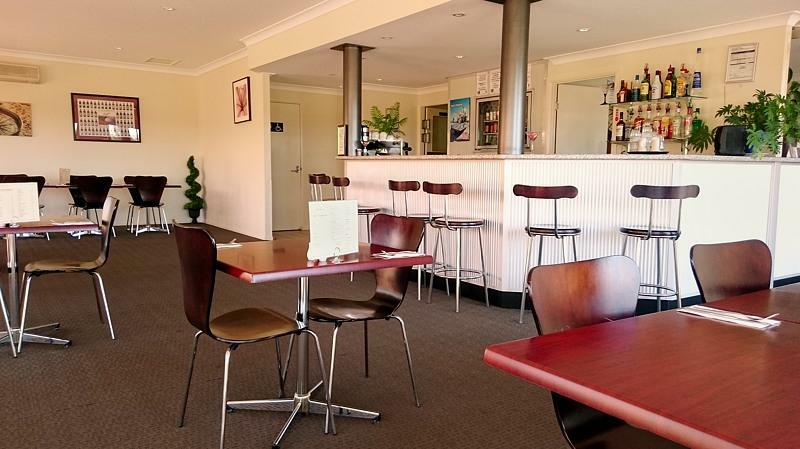 Tastefully decorated, with plenty of counter space, sofa lounge, tables and chairs, split-system climate controlled A/C, flat screen TV with Free Foxtel, Free WiFi Internet, Tea/Coffee making facilities, Mini bar. 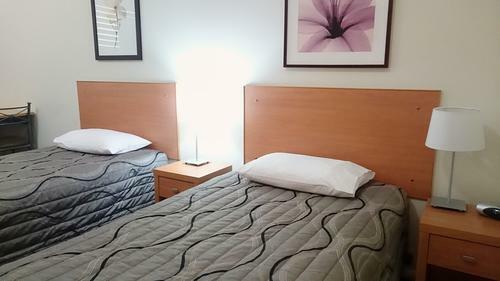 Our extra-large Twin Rooms offer a Queen and a King Single bed with Free Foxtel and WiFi Internet, split system reverse cycle airconditioning, large flat screen TV, Mini bar fridge, tea/coffee making and ironing facilities. Separate tables, sofa lounge and plenty of bench space make this ideal for the corporate executive. 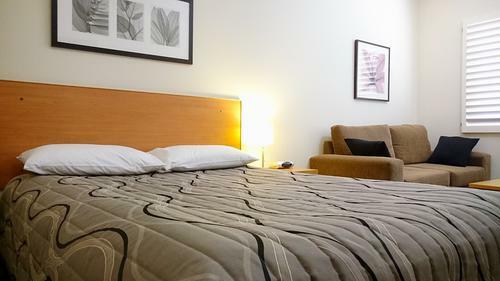 Our extra-large Twin rooms offer Free Foxtel & WiFi Internet, split system A/C, LCD TV, mini bar fridge, tea/coffee making and ironing facilities. Separate tables, sofa lounge and plenty of bench space make this ideal for the corporate executive. 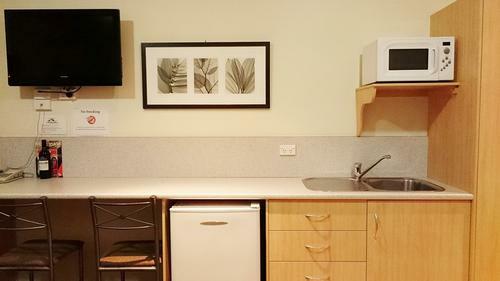 Our extra-large Twin Rooms with Kitchenette come equipped with a basic kitchenette (microwave on request) and offer Free Foxtel and WiFi Internet, split system reverse cycle airconditioning, large flat screen TV, Mini bar fridge, tea/coffee making and ironing facilities. Separate tables, sofa lounge and plenty of bench space make this ideal for the corporate executive. 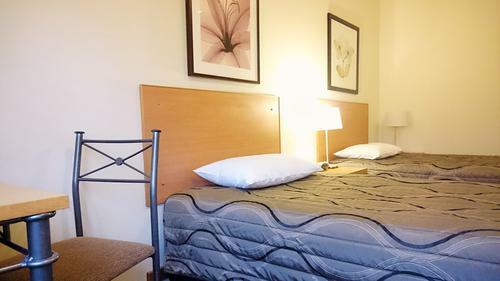 Featuring 2 interconnecting rooms, the first containing 1 Queen Bed and the second 2 King Single Beds. 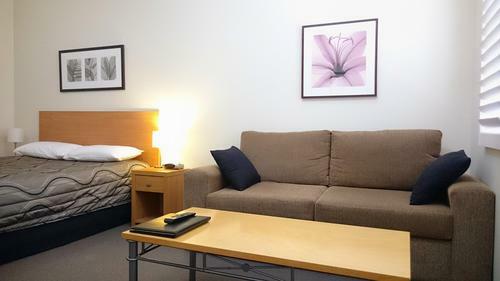 Both rooms have their own ensuite bathroom, sofa lounge, split-system climate controlled air conditioning, large flat screen TV with Free Foxtel and Free WiFi Internet, Tea/Coffee making facilities, Mini bar. Comprises 2 interconnecting rooms. The first contains 1 Queen Bed and the second 2 King Single Beds. Both rooms have their own bathroom, A/C, fridge, LCD TV and Free WiFi. Each room contains a Double Sofa Bed suitable for 1 Adult/2 Children under 12. 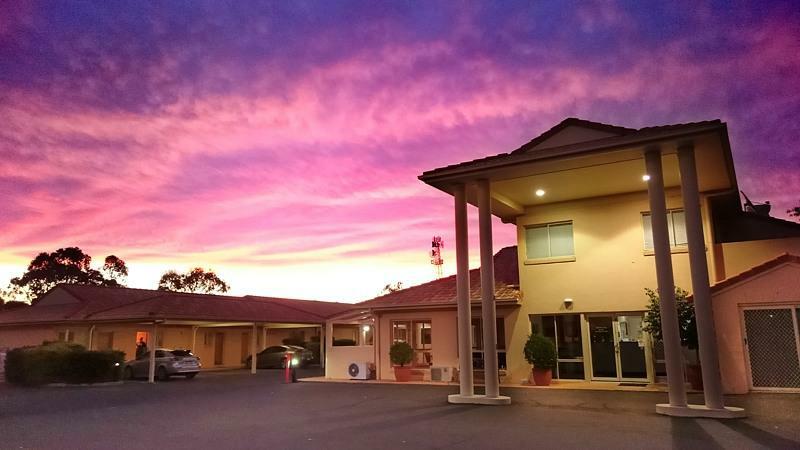 As one of the most modern motels in town, Country Roads Motor Inn Goondiwindi offers high-quality, spacious accommodation, including Family Suites and Disability Access Rooms. It is a self-rated 4 Star property, and is proud to have been awarded the T-Qual Tick, Australian Tourism Quality Assured. 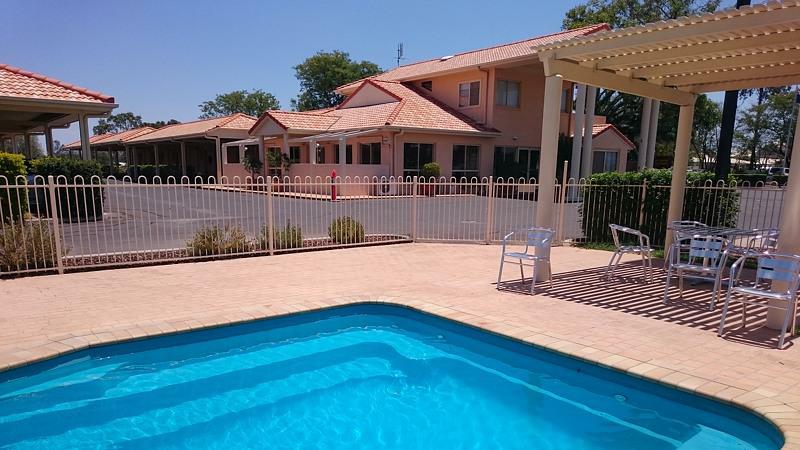 Located in one of the best known stops on the Cunningham Hwy, within the BP and McDonalds complex at the Goondiwindi roundabout, the property is unsurpassed for convenience. 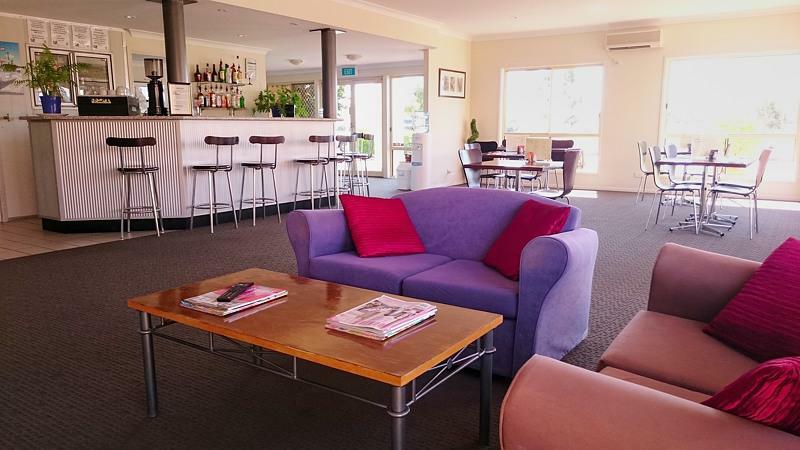 Ideal for both business & leisure guests, we are minutes from the centre of Town, Airport and Sporting venues. Restaurant & Bar is open to guests Mon-Sat (public Holidays excluded) from 6pm to 7:30pm, or dine in the comfort of your room. Breakfast is also provided 7 days per week to your room. Takeaway lunches are available by arrangement. 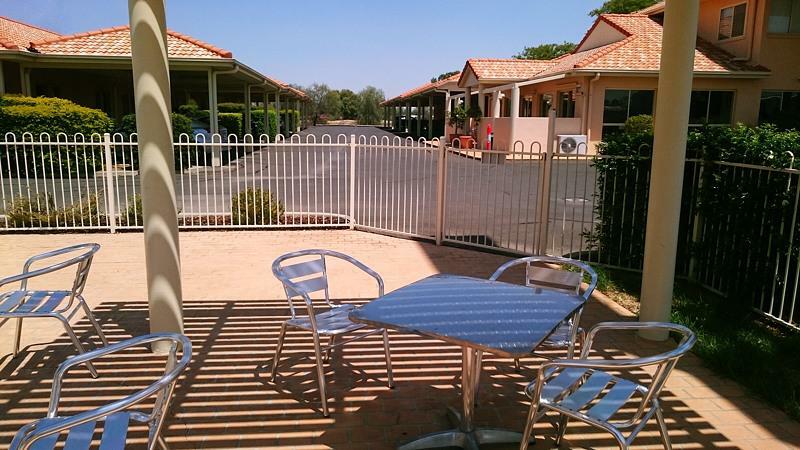 Extensive parking onsite for trailers and medium sized trucks and buses. Heavy vehicle and caravan parking is available next door. Undercover car parking for guests cars, with plenty of clearance for 4x4s and work vehicles. Within a radius of 50 kilometres enjoy the beauty of Toobeah, which is famous for its equestrian events and rodeo - held each year in July. 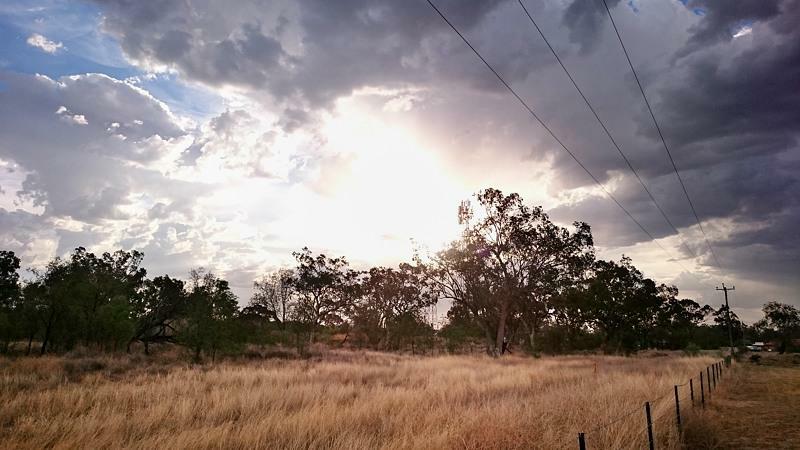 Talwood, with its picturesque tree-lined streets, belies the true meaning of a country town. The Weengallon Aboriginal Rock Wells, beside the Barwon Highway between Goondiwindi and St George, form part of a trail of Aboriginal rock wells extending to northern Queensland. Known in the local Aboriginal language as ‘Ngaru-gi Gali’ (to drink), there are six wells at the Weengallon site, some of which are up to three metres deep, and are a must-see while you are passing through. We are situated at 11-13 Cunningham Hwy, just off the Goondiwindi roundabout, next door to the McDonald's and BP Complex. While in town take a trip to the Heritage Water and Ski Park, or visit the unique Native Botanical Gardens of the Western Woodlands, a haven for bird watchers with picnic areas and childrens playground. 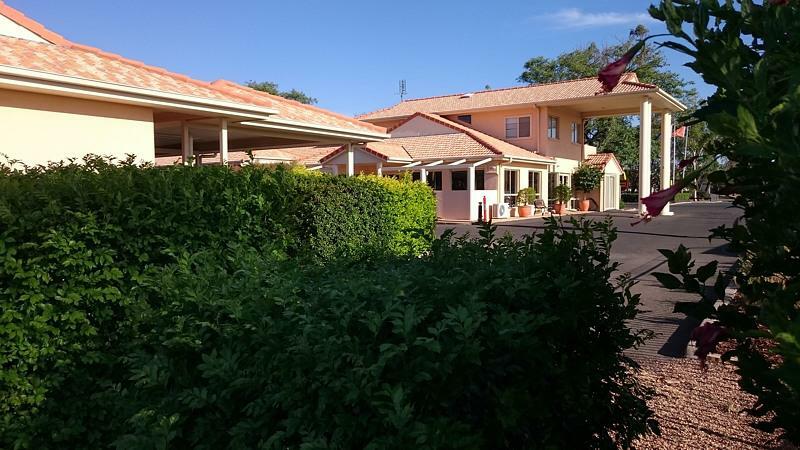 Visit the Gunsynd Museum, Customs House, Goondiwindi Cotton, the Goondiwindi Art Gallery, or enjoy the river walk beside the Macintyre River. Play golf, fish, watch a movie at the cinema, or just relax. When booking through our website, your credit card will only be charged upon arrival. Standard nightly rates for Queen and Twin rooms are inclusive of 2 adults in existing bedding. Family suites are inclusive of 4 adults, or 2 adults and 2 children. For your protection, online reservation processing is handled by a secure server that encrypts your credit card information. Payment may be made by EFTPOS or Cash, in addition to the above cards. Cancellations or changes to bookings must be made at least 24 hours prior to the check-in date and time, or we reserve the right to charge the full amount of the first changed or cancelled night. Early check-in can be made by prior arrangement only (subject to availability). Please phone ahead. For online bookings, photo ID that matches the guest name on the booking must also be provided. All Rooms are STRICTLY NO SMOKING - a cleaning fee of $300 is applicable if the room smells of cigarette smoke upon checkout. The non smoking policy fee will be charged to your credit card upon cleaning of the room. Mini bars are checked and replenished daily, if you have used the mini bar and not declared this the cost to replenish the items will be charged to your credit card.